Senator John McCain returned to the Senate floor today, after spending just five days in recovery from surgery to remove a brain tumor. 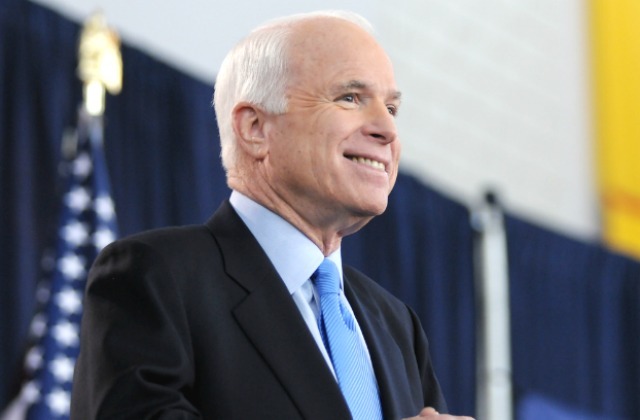 Senator McCain’s office released a confirmation of his diagnosis on July 19th. He has a glioblastoma, one of the most difficult types of brain tumors. I applaud McCain’s tenacity, but I am very disappointed by his stance on the Affordable Care Act. This is my response. Congratulations on heading back to the Senate floor. I admire your tenacity. I am reaching out to you as a fellow brain cancer warrior. I was diagnosed with stage 3 Astrocytoma five years ago. I was self-employed, and my partner was in graduate school when I received my diagnosis. We did not have health insurance. However, the Affordable Care Act (ACA) went into effect in the Spring of 2012, and I was fortunate enough to get insurance coverage through the Pre-existing Condition Insurance Plan (PCIP). I paid for my policy, deductibles, and co-pays, just as anyone else does. My partner dropped out of grad school so he could find a stable job that provided health insurance. Thanks to the PCIP requirements, I was able to obtain stable health insurance when the PCIP expired. I have been on chemo for five years. I have had three separate different sets of radiation. I have had bi-monthly MRI’s for the past five years. I have utilized speech therapy and physical therapy. If the ACA is repealed, I (as well as every other cancer patient in the United States) could be at risk losing health care insurance. That is unconscionable. Please vote no for the repeal of the ACA. Healthcare is a basic human right. You owe it to yourself, your constituents, and all your fellow cancer warriors to stand up and speak out. I look forward to your support and send you positive, healing energy. Dealing with cancer is hard work. I am blessed to have the support of my family and friends. However, I have wracked up over $300,000 of debt ($60,000 was from one visit to the ER) because of cancer. Please contact your Congressional representatives and urge them to keep healthcare coverage available for everyone, not just the one percent. We can’t say that the US is the greatest country in the world if we don’t have equitable access to healthcare.